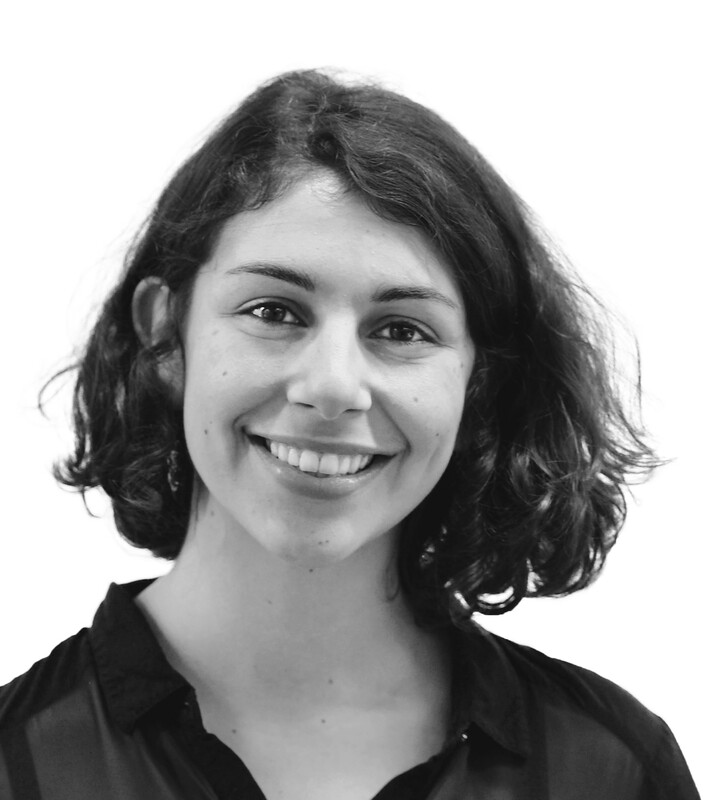 January 21, 2019, 12:03 p.m.
A new YouGov Omnibus survey produced in collaboration with Yahoo for the latest episode of the “Britain Is A Nation Of…” podcast shows that attitudes on mobile phone etiquette vary drastically across age groups. 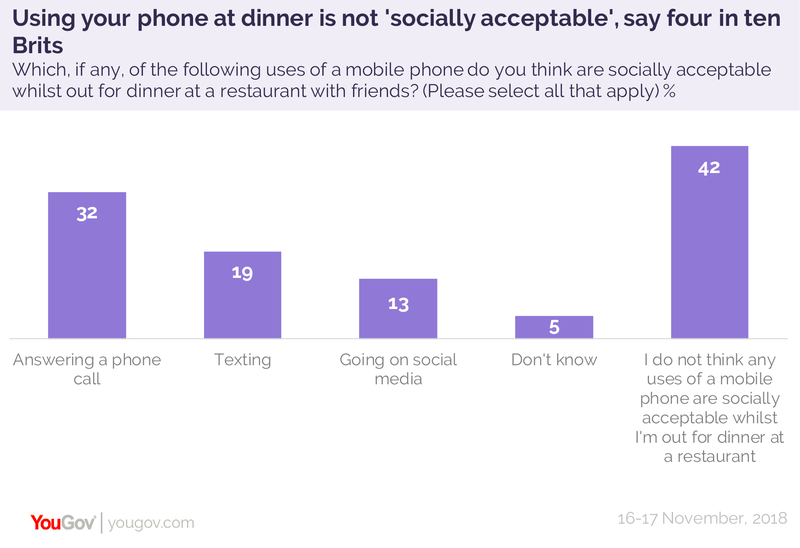 But one thing is certain: though younger people are more likely to be forgiving about using phones at the dinner table, in no age group is there a majority who think that it’s acceptable - be that answering a call, sending a text or checking social media. And, on average, four in ten Britons think using your phone in any circumstance at the table is unacceptable. According to the survey, answering your call is the most forgivable use of a phone – but even that’s only seen as acceptable by a third (32%) of Britons. If you’ve got to take a call, try and do it at a table with 18 to 24 year olds, four in ten of whom (44%) wouldn’t mind. However, if you’re eating out with people aged 55 and above, try and avoid it completely: just one in four (24%) think answering a call at the table is acceptable – and six in ten (58%) think it’s not. Texting is even riskier. 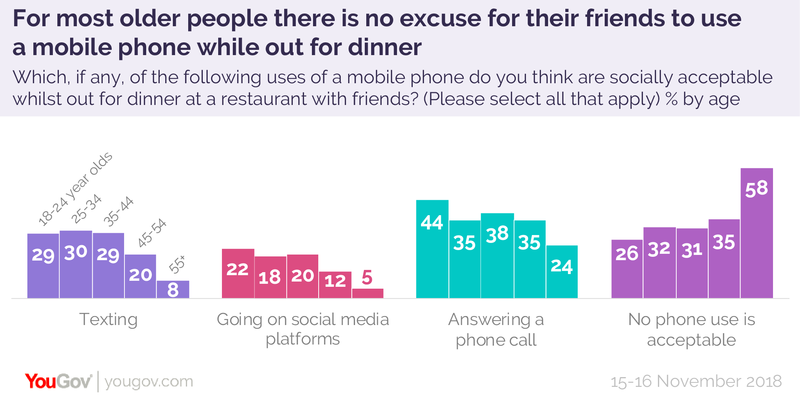 Around a third of Brits under 44 think it’s acceptable to text at the table (29% of 18 to 24 year olds, 30% of 25 to 34 year olds and 29% of 35 to 44 year olds). However, this figure falls to a fifth (20%) of those aged between 45 and 54, and just one in twelve (8%) of those aged 55 and above. Social media is the most generationally divisive of all dinner table habits. One in five (22%) 18 to 24 year olds don’t mind you checking your Facebook or Twitter feed at the dinner table: but just one in eight (12%) 45 to 54s think it’s acceptable to do so, falling to one in twenty (5%) of Brits aged 55 and over.